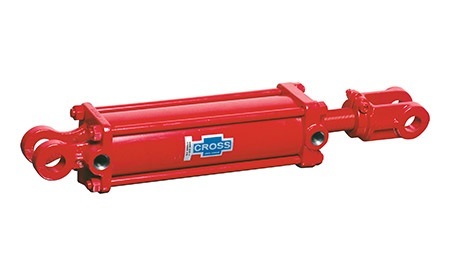 The Cross tie rod cylinders provide long life and reliable operation due to high quality materials and workmanship plus the many design features included in the cylinder design. An infinite number of stroke sizes are available as well as many standard and optional features. 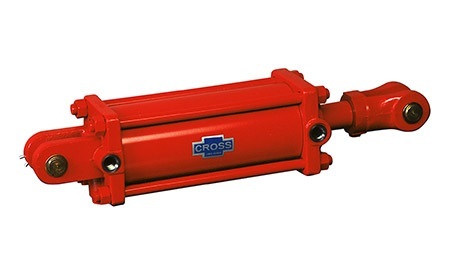 The Cross DB series offers 2" to 5" bores, clevis mounted. Standard and ASAE closed centers are also available. Infinitely adjustable stroke from zero to maximum stroke. The DU and DE series feature a rod threaded for mechanical depth control on DU and mechanical depth control included on DE. 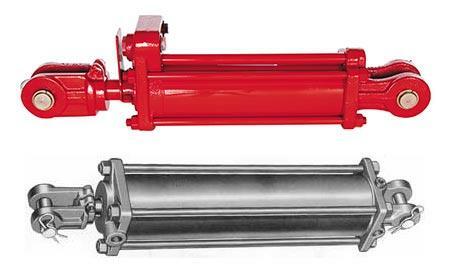 The DCR and DR series are designed for series use—cylinders are volumetrically matched and feature a unique bypass system with special piston seals. 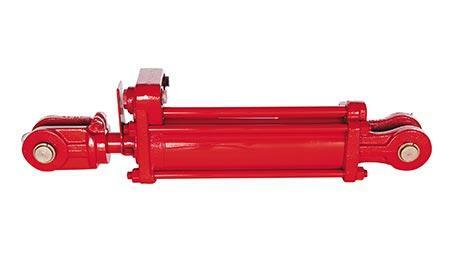 Cylinders rephase automatically upon full extension. 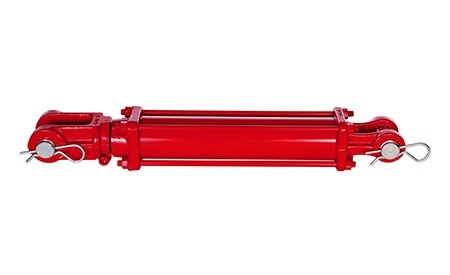 The DH series heavy duty hydraulic tie rod cylinders includes 2" to 4" bores, clevis mounted and hardened steel pins 3" bore and up.